I am planning on purchasing a digital piano for my first ever instrument to learn. i was wondering if the number of keys on the keyboard matter if i am trying to learn. The keys that are missing in 61, 76 models... how important are they? I have my eye on a Roland rd250S (76 key) which i have found used for $500. Is this a good deal? Is this a good piano for starting off? I ran into a problem with a 61 key digital piano recently when I attempted to play some classical music. Three of the first 4 songs could not be played on the short keyboard. My first question would be, what music do you plan on playing? My second would be finance related: how long before you could upgrade? It is important to get started playing while you are motivated. 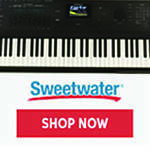 If you plan on classical music, are willing to practice long hours, and will be able to purchase an upgraded keyboard in the future, this digital might be right for you now. As for price/piano, I am not sure. I will leave that to others to help answer. Wilderman to tell you the truth i've had 61 keys for a very long time and i feel it's set me back with my playing harder pieces as you get frustrated that you've not got enough keys. I produce dance music so i can get away with it. But if I were you i would go for 88 keys infact i'm on the look out for 88 keyboard just now. away anytime you feel like. They're just plain fun. so that they can fit on the keys. convenience of a 61-key keyboard. be heavy, as much as 75 lbs. in some models. a stand, like an acoustic upright piano. I am playing piano for about 18 months now and learn with the book Michael Aaron Piano Course: Lessons Grade 1 and 2. Excellent book, by the way. And even at that stage 61-keys would not have been enough for several songs. I guess, however, that so far 76 would have worked. Nonetheless, what could be more maddening than not being able to play a song simply because you have too few keys. In addition, 76 and less keys are usually found on keyboards that do not try to mimick pianos, but are intended for use as synthesisers or organs. So clearly, if you want to play piano get a keyboard with 88 keys. If you want to learn how to play the piano, go for the 88 full weighted keys. There are nothing to discuss in that matter. There is a clear reason why acoustic pianos have 88 keys. No less, no more. Because it's the perfect amount. If you want to play an acoustic guitar, You probably wouldn't buy one with 5 strings. And digital pianos with full weigted 88 keys, aren't that expensive anymore. Obviously You can buy digital pianos worth several thousands of dollars, but less will do. 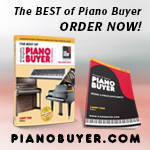 You can easily find a decent digital piano for under 500 dollars. My advice would be the Casio Privia PX-120, which is probably the best in that pricerange. Last edited by Kasper Nielsen; 04/15/09 04:31 PM. My advice would be the Casio Privia PX-120, which is probably the best in that price range. +1 - I heartily second that recommendation. 88 keys, at a price you can afford. I think you could live with 76 keys ... that a piano that's missing an octave. But there aren't many of those anymore (except maybe workstations?). But 61 keys would be intolerable. I'd say to definitely pass on the Roland RD250S. The price is out the box crazy at $500. This is a 20 year old digital piano with 16 note polyphony. For a $100 it'd be worth buying but for anything more, it simply isn't worth it. Plus it is heavy. You can pick up the Casio PX120 for around $400 to $500. With it you get 128 note polyphony, a good piano sample, 88 good weighted keys, built in speakers, and a lightweight digital piano that is easily transported. Forget 76, 61, 88. A new Casio PX120 houses the Roland. If money is tight, look for a used Casio PX110 or 310, the previous generation. Same hammer action keyboard and lightweight package with a good sample and 32 note polyphony. You might be able to snag one on Craigslist for $200 or so. As far as the number of keys 61 kinda stinks for piano. 73 or 76 keys should be enough to handle about 98% of your playing and is nice if you plan to take it to band practice or gigs. Of course 88 covers everything but you rarely will use the extra notes that the 76 doesn't have. I've played thousands of hours on 76-key digital, and most of the time I don't feel I miss something. My friend has Korg SP-250, which is a little heavy, and he regrets he can't cut out half an octave from the top and the bottom - he doesn't use this keys,and his instrument would be slighty shorter and lighter. 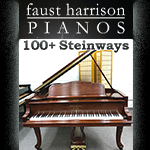 Though I think there is a hole in the market: there are some customers who would like to buy 76 fullly weighted version of some pianos (lower cost, shorter and lighter instrument). If they give 76 keys, there are usually half weighted. Only Clavia Nord Stage is available in 88 and 76 fully weighted version. Personally I would prefer 61 keys. I could play all of Bach, and all of standard church hymns, and that's most of what I do. And it would transfer well to the organ, all the manuals being 61 keys. It would be light and short, easy to keep one at work for my lunch hour practice. BUT. I couldn't find a 61 key weighted keyboard that didn't cost more than the equivalent in 88 keys. There just isn't any market for them. 61 keys are toy instruments, therefore unweighted, or very high priced midi controllers, usually but not always unweighted. You can go with the 61 keys if you're unsure if you really want to play piano, since they're relatively cheap. However, it only took me 6 months of playing piano to notice my piano was missing keys for music I wanted to play. So it's a matter of how sure you are. You can go the safe route and buy a cheap 61 key keyboard, and risk only whatever little that is worth if you decide piano is not for you, or, you can go straight for a nice digital piano, as once you get to a certain level, you're probably never going back to that 61 key keyboard. If you choose the latter, you have to be aware that if you do decide that you don't want to play piano, you'll only have a expensive paperweight on your hands. And about about weighted keys, that is something you WANT (if you're playing piano music that is; using the keyboard for midi is different). Those keys simulate a real piano, and they give you much more control over how your music sounds emotionally. Last edited by bentrinh; 04/18/09 11:12 PM.